“Foundations offers inspiring new content for producers, songwriters and artists alike. 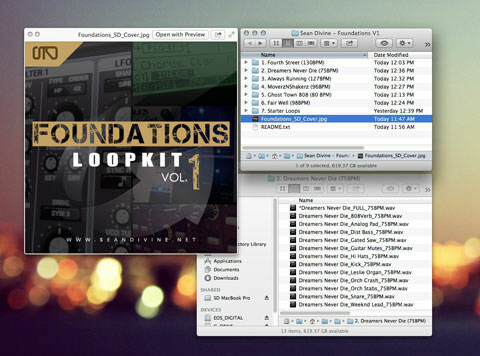 This kit contains over 500MB of royalty free loops organized into 7 Construction Kits. Essentially, you’re receiving all the building blocks from never before released instrumentals so that you can arrange, sample or produce your own tracks. Also included is the “Starter Loops” folder which contains original chord progressions and melodic ideas to get your writing or producing started quickly.